Hearts are everywhere right now! 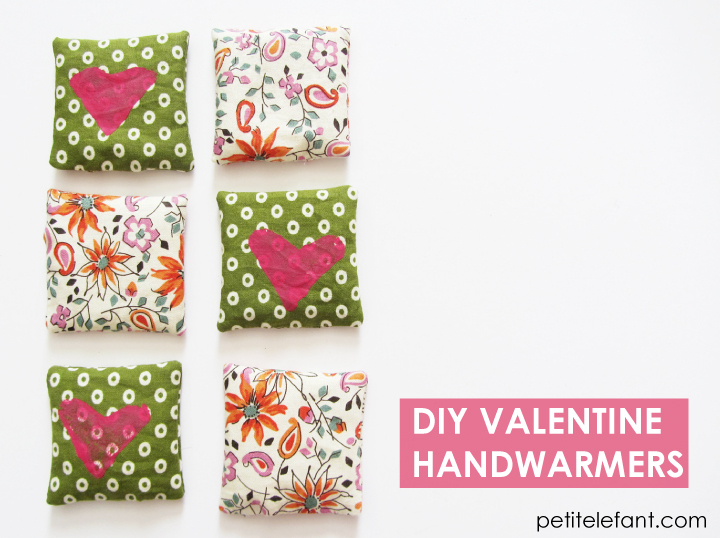 It’s time to make some DIY hand warmers Valentine hearts to keep you nice and toasty. It’s Steph here again from Stuff Steph Does. It seems like as soon as January rolls around all the red ornaments, lights, and other decorations from Christmas transform into glittery hearts and cupids for the upcoming day of celebrating love. Can you believe it’s already time to start thinking about your Valentine? Nope, I can’t either. But what better way to start thinking about it than with a fun DIY project! The saying goes “Cold Hands, Warm Heart,” right? Well who wants cold hands? I know I don’t! 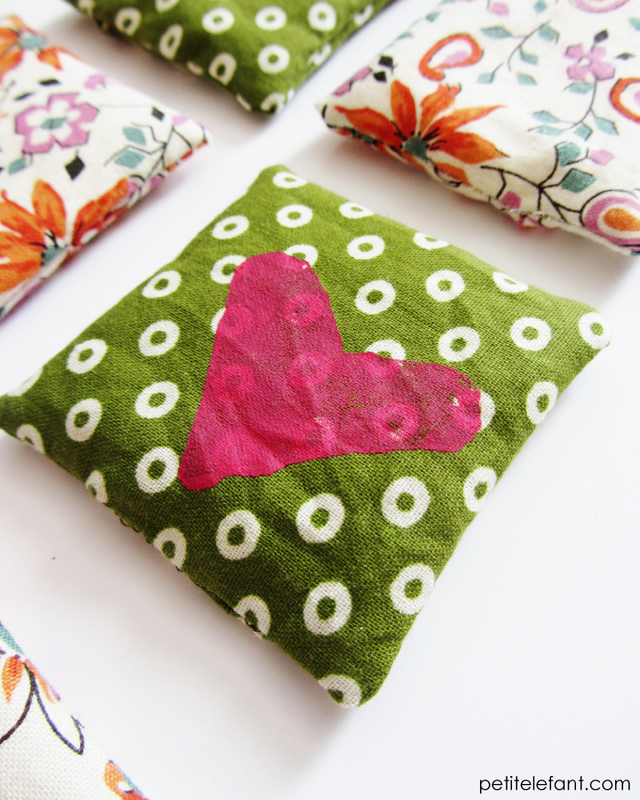 Warm up your Valentine’s hands and their heart with these adorable, reusable hand warmers. *Its important to use natural fibers for these since you will be zapping them in the microwave. Some synthetic fibers can do some funky stuff when surrounded by radiation, so it is best to be safe and stick with the natural stuff. 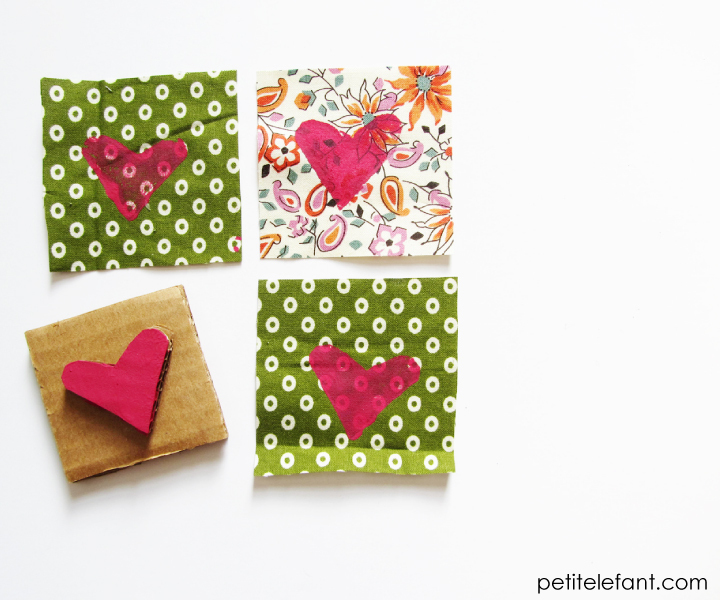 Once you have your squares of fabric cut out, stamp each piece (or half of them if you want the heart on one side only) and let them dry completely before moving forward. I did not have a heart stamp in my stash of supplies, so I made my own by cutting out a heart and the handle piece from cardboard and gluing the pieces together. Such a simple way to make a custom stamp of any shape! 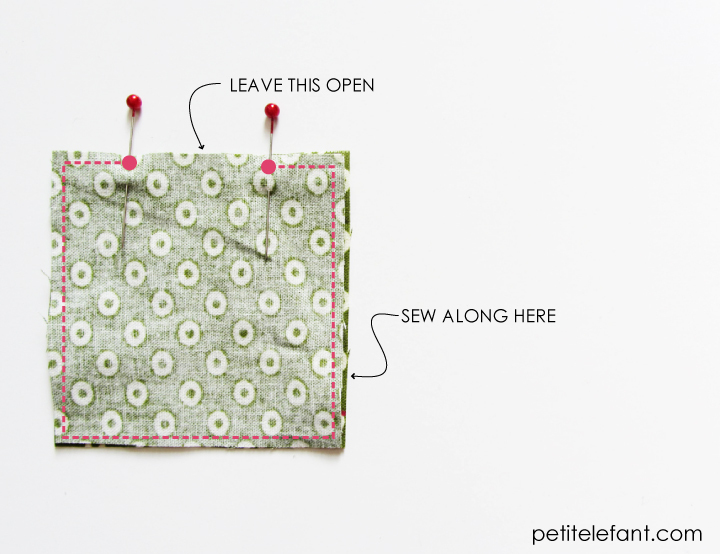 After everything is all dry, sew two squares together with the right sides together. 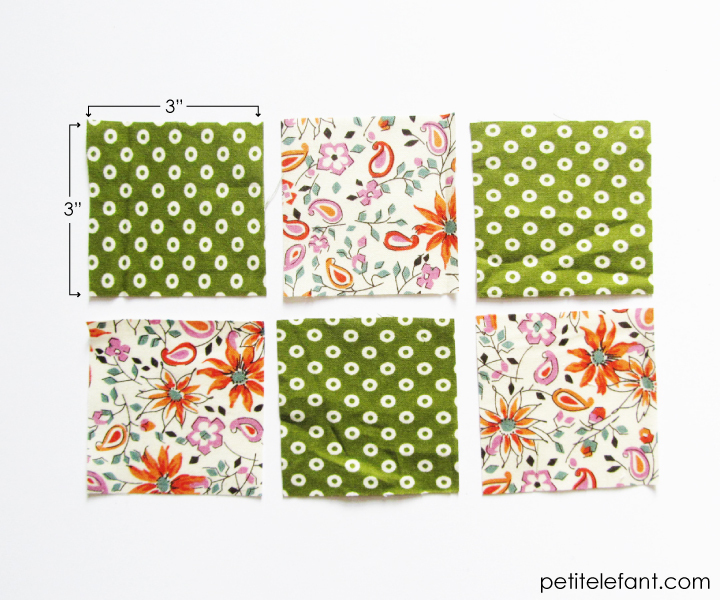 I had a ¼” seam allowance which made the final product 2 ½” x 2 ½”. Leave a big enough opening on one side so you can flip it right side out and stuff with rice! 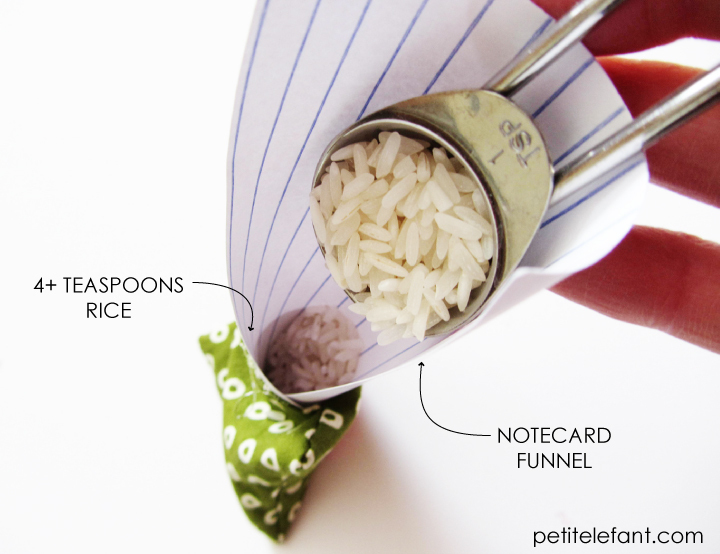 Use a funnel (or a rolled up notecard) to stuff 4-5 teaspoons of rice into the pouch. Don’t stuff it too tight, but don’t be too skimpy either. Hand sew the opening closed, and now it’s time to warm up those digits! Place the hand warmers in the microwave for 15-30 seconds, give to your Valentine, and enjoy! 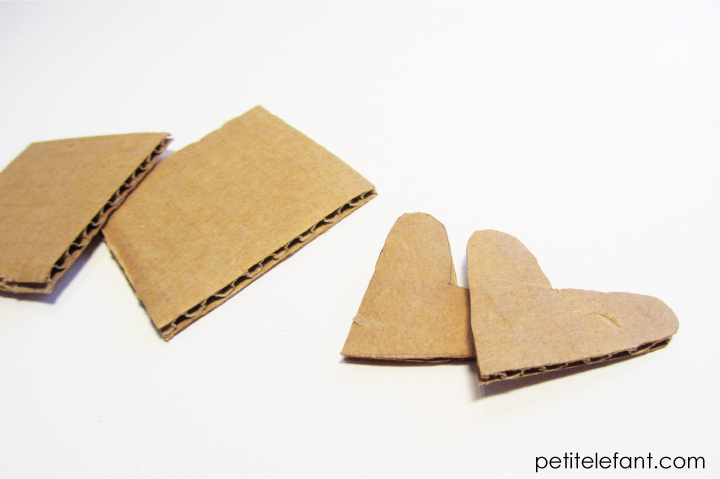 You just made a DIY heart valentine.